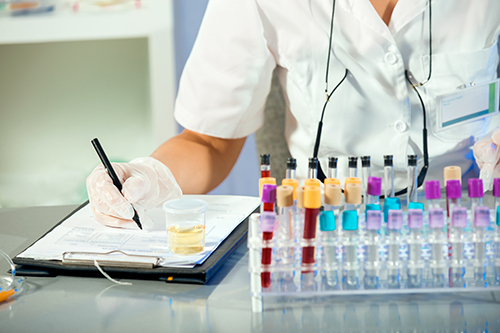 Our comprehensive menu of drug screening options includes pre-employment, random, and DOT-approved screening services. You may choose from instant or lab-confirmed, 5, 10, 12, and 13 panel screens. 10 Panel Instant Test - These provide instant results and can only be used for pre-employment purposes only. Results are available within 5 minutes. 10 Panel Lab Test - the specimen is collected and sent to LabCorp for testing. The test is performed at the lab and can remain in testing from 48 to 96+ hours. Most results are reported in 24 hours. * Additional testing may require additional time and the specimen will remain at the lab as a work in progress until testing is completed. DOT Managed Services - We offer DOT management on a pre-employment and/or random basis in accordance to DOT and Federal regulations. Total Screening Solutions can help you manage compliance with the Department of Transportation (DOT) and non-DOT drug programs. We have a local Charlotte, NC testing office conveniently accessible and we can perform group drug testing for special hiring events. We also partner with a collection SAMHSA (Substance Abuse and Mental Health Services Administration) lab facilities Nationwide. Our Drug Testing services make us your most convenient and cost effective option for testing your candidates and existing employees.